Currently, global debt levels trouble CLS more than any other specific risk. 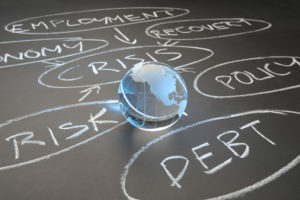 While the risks of the 2008 global financial crisis are in the past, the debt used to help spur the economy past the crisis remains. This post seeks to explore different ways global debt levels might slow stock market returns in 2017. Before exploring the details, keep in mind the previous sentence included the word “might.” While these risks will shape markets in 2017, the most likely outcome is global governments will muddle through and markets will rise. At this point in the economic cycle, moderate GDP growth should be eclipsing deficit growth, meaning government debt is becoming easier to service. Keep in mind, governments rarely pay down debt by running surpluses. Instead, GDP grows at a faster pace than the deficit. Assuming taxes grow proportionately with GDP, government debt becomes less burdensome. So debt levels are often measured as a percentage of GDP. 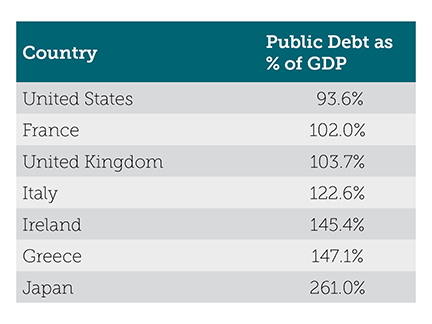 The table below summarizes debt levels of some key countries. Research shows that the when debt levels rise above 90%, concern about increased taxes, higher inflation, and regulation slow GDP growth by 1% per year. None of those changes benefit stock markets in the long-term. 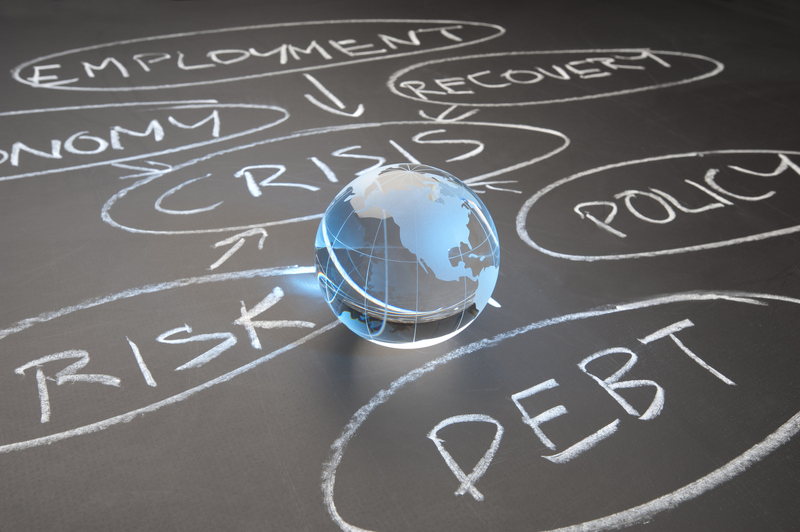 This thesis is hotly debated, but the slow U.S. recovery and anemic recoveries in Japan and Europe support the conclusion that high debts pose a risk for global economies. While Italy’s debt levels are terrible, the table above understates them. Italy’s third largest bank, Monte dei Paschi, was recently taken over by the government. Analysts estimate 20% of the bank’s loans are not performing. That figure overwhelms any capital buffers and leaves the Italian taxpayer with $6 billion in losses to cover. Monte dei Paschi is likely the most problematic bank in Italy, but it isn’t the only one. Italy’s already large debt would be higher if the number included debts the country would likely absorb when recapitalizing banks. China, whose public debt is only 17.7% of GDP, faces similar challenges. Chinese banks continue to roll over loans to companies rather than forcing restructuring. Many of the problem borrowers in China are state-owned enterprises (SOEs) and the government is loath to pull the plug on its own businesses. While 17.7% looks good, it is widely assumed that the government would step in and cover the problem loans if necessary, thus piling on more debt. The final debt challenge results from a mismatch between debt currencies and home currencies. Many emerging markets, needing capital from abroad, borrow it in U.S. dollars and service their debt by converting taxes paid in their home currencies to dollars. Since the dollar has been rising compared to most global currencies, supporting dollar-based debt has become a larger challenge. Conversely, Japan continues to run a massive deficit without as much risk because it borrows from its own citizens in yen at very low interest rates. While its debt levels are massive, its risks aren’t as high as in some emerging market countries. Even with these challenges, countries will most likely muddle through. While this piece focuses mostly on risk, should any of these countries make the right set of structural reforms, the risk factors above may drop and stock markets could rally. Remember, investing provides its greatest rewards for bearing risks that others don’t want to bear. This information is prepared for general information only. Information contained herein is derived from sources we believe to be reliable, however, we do not represent that this information is complete or accurate and it should not be relied upon as such. All opinions expressed herein are subject to change without notice.